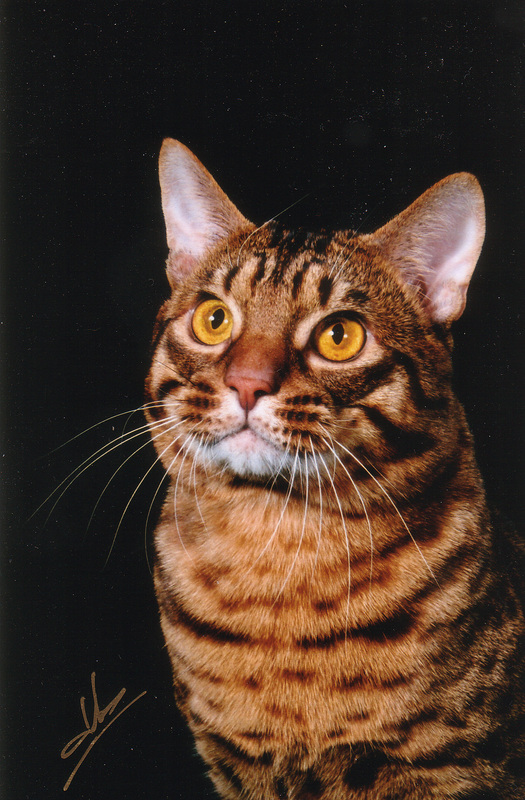 Grand Champion, Regional winner and National CFA winner Bugatti was featured in a photo shoot held in Kansas City for Instinct cat foods. The studio took pictures inside a studio with fake grass on the floor to reflect an outdoor setting. Bugatti worked for a couple of hours, consistently performing the same movement over and over. He modeled until the studio captured just the right angle, and he enjoyed every minute of it.